As people age, they often complain about pain attributable to arthritis, a swelling of the body’s joints, especially those of the hands, knees and feet. They aren’t alone. According to the Centers for Disease Control and Prevention, more than 52 million individuals in the United States suffer from arthritis; interestingly, of this figure, nearly 300,000 are children. 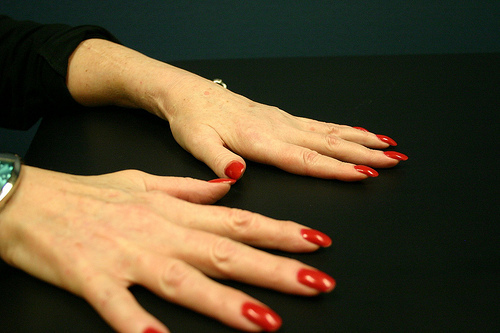 There is no cure for arthritis, which makes it a chronic issue that must be maintained. Difficulty getting up and moving in the morning or after sitting for long periods of time. Problems performing tasks that involve the hands, just as using a keyboard. Radiating pain in the extremities coming from the affected areas. Swollen joints that are tender to the touch. Difficulty walking, especially up stairs or on uneven paths. While over-the-counter and prescription medications can alleviate some of the symptoms of arthritis, not all individuals with arthritis can – or want to – tolerate introducing drugs into their bodies. Fortunately, there are several nonpharmaceutical ways for those with arthritis to get the relief they crave. Weight management. Those who are overweight may find that their arthritis symptoms are greater than those whose weight is kept to healthy levels. This only makes sense, as the more weight the body is forced to carry, the greater the impact on the affected joints. Another upshot of losing weight for arthritis sufferers is the introduction of better-quality foods into their diets. Good nutrition plays a key role in giving the body every opportunity to heal itself and recover from flare-ups of joint pain and swelling. Warm-water therapy and exercise. Warmth is a known reliever of arthritis, and exercise in a warm-water environment can provide long-term benefits for those who find land-based exercises uncomfortable or – in some cases – nearly impossible. Today, there are even specialized warm-water pools with built-in underwater treadmills that allow exercisers with arthritis to work out for significant periods of time. Smoking cessation. The effects on the body of smoking extend far beyond the lungs. In fact, smoking causes problems with the connective tissues of the body, creating an atmosphere in which arthritis will worsen rapidly. By ceasing the use of nicotine products, arthritis sufferers have a much better ability to naturally ward off the progression of their arthritis condition. Cognitive behavioral therapy. This type of therapy aims to connect people’s minds and bodies on a deeper level. For individuals who have arthritis, delving into the world of behavior therapy can provide means for them to regulate their body’s reactions to arthritis. It can also help them recognize when the condition is about to become more problematic; this enables them to stop a serious flare-up or at least prepare for it. Every man, woman or child with arthritis is unique; therefore, each needs to try many techniques to make life easier. By treating the body well and listening to the body’s signals, an arthritis sufferer can learn to manage the pain and discomfort.